Until then, mark your calendars for January 15-17 and plan to join us in Pierre. 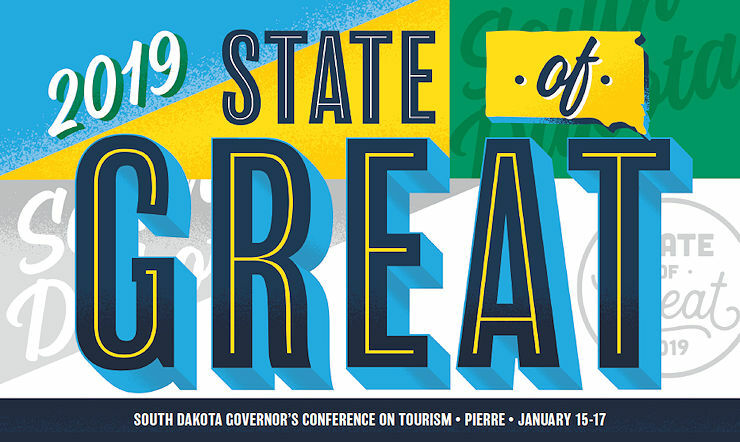 The annual South Dakota Governor’s Conference Tourism is not possible without the generous support of our sponsors and exhibitors. There are several options available, including Governor, Gold, Granite, Copper and Quartz sponsorship levels as well as Exhibitor booths. If you didn’t receive sponsorship information in the mail, it is also available on SDVisit.com. For more information, contact Natasha Bothun, Strategic Partnerships & Events Manager, at [email protected], or Jacey Jessop, Industry Outreach & Development Representative, at [email protected], or 605-773-7584.